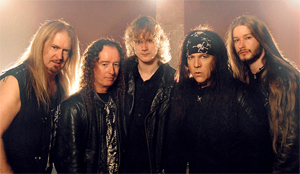 Legendary San Francisco Bay Area metallers VICIOUS RUMORS have set Concussion Protocol as the title of their 12th studio album, due end of August via SPV/Steamhammer. The album features 11 brand new songs and tells a chilling story of an Armageddon by a global killer asteroid and how humanity unravels in the wake of the news. It's the first concept album for the band. The album was produced by Geoff Thorpe and longtime co-producer and engineer Juan Urteaga at the world famous Trident studios in Pacheco, California (MACHINE HEAD, TESTAMENT, HEATHEN, EXODUS, DRAGONLORD, TED NUGENT). A video for the first single "Take It Or Leave It" was filmed a couple of months ago and is coming soon! Guest solos by VR brothers from the band`s rich history, Brad Gillis (NIGHT RANGER, OZZY OSBOURNE) and Steve Smyth (ONE MACHINE, NEVERMORE, TESTAMENT, FORBIDDEN, VR 1995-1999) only add to the madness. Tour plans are in the works and shall be revealed soon! Geoff Thorpe states: "The album is relentless and crushing in true, classic VR style but with many twists and turns. Believe me, you're in for a treat, VRazors!!! If you've ever been a fan of VR, Sabbath, Priest or Maiden and a little bay area style thrash thrown in for good measure, then this album is definitely for you !!! Everything you love about VR is present throughout the whole album!!!"